Lee Ping-hsing’s family farm in Changhua county in central Taiwan had a problem common with farms throughout the world. During the harvest, crows would descend on the family fields and eat all the food before the family could gather it in for sale or dinner. So Lee took his inspiration from Michael Jackson’s second-best dance move after the moonwalk, the crotch grab, and made two Michael Jackson scarecrows posing in MJ’s most famous dance moves and iconic costumes. 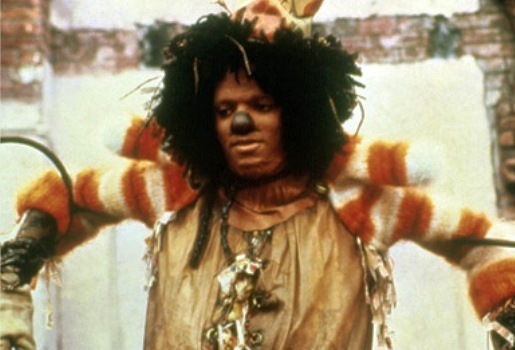 The scarecrows posing like MJJ are awesome, and a great homage to The Wiz, but even better are the MJJ-approved outfits. If you’re going to do something, you may as well do it right.